Fabulous compact 1 bedroom studio style flat in the heart of the city centre. 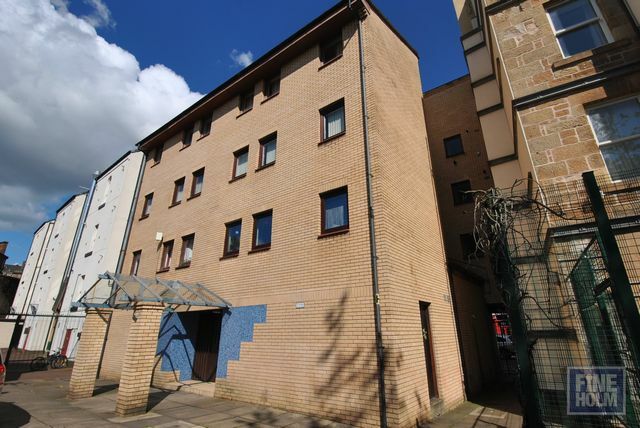 New to the rental market this is a studio style flat located minutes walk form Argyle Street and the Merchant city. Completely refurbished throughout in a modern style , it comprises entrance hall with storage, bathroom with shower over bath, separate sleeping area leading through to living and fully equipped kitchen area. GCH. Secure entry. This is the perfect place for anyone looking for a stylish city flat without blowing the budget. For clarity, it is a compact flat and the sleeping and living areas are not separated by a door however they are separate zones- probably best suited for single living! Parking available - unallocated.